IEEE IVMSP TC activity report at Inside Signal Processing Newsletter, March 2019 issue. IEEE ICIP 2018 took place in Athens in October 2018. IEEE ICME 2018 Special Session on "Deep metric learning for multimedia computing". Nikolaos V. Boulgouris is a Senior Lecturer (Associate Professor) with the Department of Electronic and Computer Engineering of Brunel University London. From 2004 to 2010 he was an academic member of staff with King's College London, and prior to that he was a researcher with the Department of Electrical and Computer Engineering of the University of Toronto, Canada. He has published more than 100 papers in international journals and conferences (Google scholar search) and he has participated in numerous national and international research consortia. Dr. Boulgouris served as Technical Program Chair for the 2018 IEEE International Conference on Image Processing (ICIP). 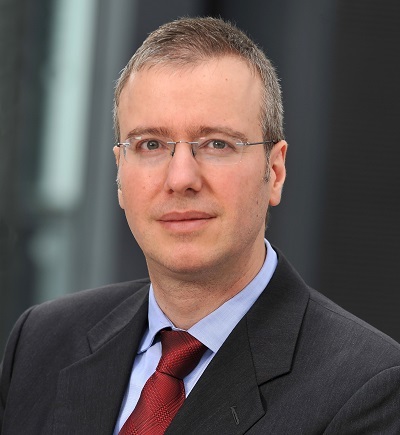 He currently serves as Senior Area Editor for the IEEE Transactions on Image Processing. He also serves as Associate Editor for the IEEE Transactions on Circuits and Systems for Video Technology, from which he received the 2017 Best Associate Editor Award. In the past he served as Associate Editor for the IEEE Transactions on Image Processing and for the IEEE Signal Processing Letters. He was co-editor of the book Biometrics: Theory, Methods, and Applications, which was published by Wiley - IEEE Press, and guest co-editor for two journal special issues. From 2014 to 2019 he served as an elected member of the IEEE Image, Video, and Multidimensional Signal Processing Technical Committee (IVMSP - TC). Dr. Boulgouris is a Senior Member of the IEEE and a Fellow of the Higher Education Academy. Senior Area Editor IEEE Trans. Image Processing, February 2016 - present. Associate Editor IEEE Transactions on Circuits and Systems for Video Technology, 2016 - present. Associate Editor IEEE Transactions on Image Processing, July 2015 - February 2016. Associate Editor IEEE Transactions on Image Processing, June 2010 - June 2014. Associate Editor IEEE Signal Processing Letters, March 2007- March 2011. 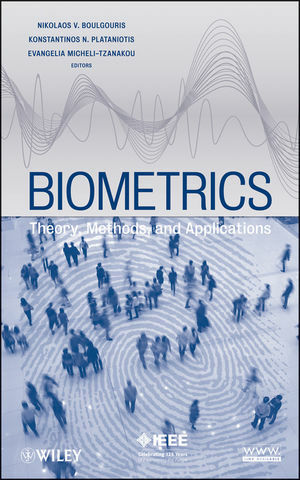 Book Editor Biometrics: Theory, Methods, and Applications, Wiley - IEEE, 2009. Guest Editor EURASIP Journal on Image and Video Processing 2009. Guest Editor EURASIP Journal on Applied Signal Processing 2008. Elected member IEEE IVMSP Technical Committee (IVMSP - TC), 2014 - 2019. Member Full College, Engineering and Physical Sciences Research Council (EPSRC). Tutorial Speaker Visual Image Search and Visual Analytics (VISVA) Summer School, Singapore, 2016. Panel member Associate Editor Orientation Session, IEEE ICASSP 2009. PhD Examiner More than 30 PhD examinations in the UK and abroad. IEEE International Conference on Image Processing, 2018. Digital Media Industry & Academic Forum DMIAF 2016.
International Conference on Systems, Signals, and Image Processing, IWSSIP 2015. IEEE International Conference on Acoustics, Speech, and Signal Processing, 2021. IEEE International Conference on Multimedia and Expo (ICME), 2020. IEEE Workshop on Multimedia Signal Processing, 2017. Human Identification in Multimedia, HIM'17 (in conjunction with IEEE ICME2017). 3D True Vision Conference, 3DTV-CON 2017. IEEE Visual Communications and Image Processing 2015. Digital Signal Processing conference, 2009. IEEE International Conference on Acoustics, Speech, and Signal Processing 2015, 2016, 2017, 2019. IEEE International Conference on Image Processing 2011, 2014-2017, 2019. European Signal Processing Conference, EUSIPCO 2011, 2008. IEEE International Conference on Image Processing 2014, 2016. IEEE International Conference on Image Processing (2001-2019). IEEE International Conference on Acoustics, Speech, and Signal Processing (2011, 2013-2017, 2019). N. V. Boulgouris, K. N. Plataniotis, E. Micheli-Tzanakou, editors, Biometrics: theory, methods, and applications, Wiley-IEEE Press, October 2009. X. Huang and N. V. Boulgouris, "Unobtrusive biometric identification based on gait", in Biometrics: theory, methods, and applications, Wiley /IEEE Press, 2009. V. Mezaris, N. Thomos, N. V. Boulgouris, I. Kompatsiaris, "Knowledge-Assisted Analysis of Video for Content-Adaptive Coding and Transmission", Advances in Semantic Media Adaptation and Personalization, Studies in Computational Intelligence series, vol. 93, pp. 221-240, Springer-Verlag, 2008. S. Argyropoulos, N. V. Boulgouris, N. Thomos, Y. Kompatsiaris, and M. G. Strintzis, "Coding of 2D and 3D color image sequences", in Color Image processing: Methods and Applications, CRC Press, R. Lukac and K. N. Plataniotis editors, 2006. N. V. Boulgouris, N. Thomos, and M. G. Strintzis,"Error-resilient coding for multimedia communications," in Intelligent Integrated Media Communication Techniques, J. F. Tasic, M. Ansorge, M. Najim eds., Kluwer Academic Publishers, Boston, October 2003. D. Simitopoulos, S. A. Tsaftaris, N. V. Boulgouris, G. A. Triantafyllidis, and M.G.Strintzis, "Digital Watermarking for the Copyright Protection of Compressed Video", in Intelligent Integrated Media Communication Techniques, J. F. Tasic, M. Ansorge, M. Najim eds., Kluwer Academic Publishers, Boston, October 2003. A. Kitsikidis, N. V. Boulgouris, K. Dimitropoulos, and N. Grammalidis, “Unsupervised Dance Motion Patterns Classification from Fused Skeletal Data using Exemplar-based HMMs”, International Journal of Heritage in the Digital Era, vol. 4, no 2, pp 209-220, 2015. J. Hu and N. V. Boulgouris, "Visual recognition of event and activities based on momentum of motion energy mass", Applied Artificial Intelligence, vol. 26, pp. 81–96, Feb. 2012. S. Memon, N. Manivannan, A. Noor, W. Balachadran, and N. V. Boulgouris, "Fingerprint Sensors: Liveness Detection Issue and Hardware based Solutions", Sensors & Transducers Journal, Vol. 136, Issue 1, pp. 35-49, January 2012. X. Huang and N. V. Boulgouris, “Gait recognition based on multiple views”, EURASIP Journal on Advances on Signal Processing, 2008. N. Thomos, S. Argyropoulos, N. V. Boulgouris, and M. G. Strintzis, "Robust transmission of H.264 streams using adaptive group slicing and unequal error protection", EURASIP Journal on Applied Signal Processing, 2006. N. V. Boulgouris, K. E. Zachariadis, A. Kanlis, and M. G. Strintzis, "Multiple Description Wavelet Coding of Layered Video Using Optimal Redundancy Allocation", EURASIP Journal on Applied Signal Processing, Vol. 2006, pp. 1-19. D. Tzovaras, N. V. Boulgouris, K. Argyraki, and M. G. Strintzis, "Rate-distortion Optimal Fast Thresholding for MPEG-2 Image Sequence Coding", European Transactions on Telecommunications, Vol. 12, No 3, pp 189-195, May/June 2001. L. Hou, X. Du, N. V. Boulgouris, "A Novel Sensing System for Robotic Cochlear Implants Electrode Array Placement", 2018 IEEE International Conference on Biomedical Robotics and Biomechatronics, August 2018. H. Ozen, N. V. Boulgouris, and R. Swash, "Gait Recognition Based on 3D Holoscopic Gait Energy Image", International Conference on 3D Immersion, IC3D2017, Brussels, December 2017. J. Broulim, V. Georgiev, N. V. Boulgouris, "On fast exhaustive search of the minimum distance of linear block codes" IEEE International Congress on Ultra Modern Telecommunications and Control Systems and Workshops (ICUMT), 2016. T. Kounalakis, N. V. Boulgouris, and G. A. Triantafyllidis, "Content-adaptive pyramid representation for 3D object classification", IEEE International Conference on Image Processing, Phoenix, September 2016. A. Kitsikidis, N. V. Boulgouris, K. Dimitropoulos, and N. Grammalidis, “Unsupervised dance motion patterns classification from fused skeletal data using exemplar-based HMMs”, EuroMed, Lemessos, Cyprus, November, 2014. E. Kafetzakis, E. Panaousis, N. V. Boulgouris, and A. Kourtis, “Secure Communications for Mobile Verification Platforms”, International Symposium on Wireless Communication System, Aug. 2013. T. Kounalakis and N. V. Boulgouris, “Sparsity-based classification using texture and depth”, Intl. Conference on Digital Signal Processing, DSP 2013, Santorini, Greece, July 2013. X. Huang, N. V. Boulgouris, and A. Georgakis, “Gait recognition based on time-frequency analysis”, International Conference on Digital Signal Processing, Santorini, Greece, July 2009. X. Huang and N. V. Boulgouris, “Robust object segmentation using adaptive thresholding”, IEEE Intl. Conference on Image Processing, San Antonio, September 2007. V. Mezaris, N. V. Boulgouris, and Y. Kompatsiaris, “Knowledge-Assisted Video Analysis for Content-Adaptive Coding and Transmission”, SAMT 2006, Athens, Greece, December 2006. N. V. Boulgouris and Z. X. Chi, “Gait representation and recognition based on Radon transform”, IEEE International Conference on Image Processing, Atlanta, October 2006. N. Thomos, N. V. Boulgouris, and M. G. Strintzis, "Robust Image Transmission Based on Product-Code Optimization for Determinate State LDPC Decoding", IEEE International Conference on Image Processing, Atlanta, October 2006. N. Thomos, S. Argyropoulos, N. V. Boulgouris, and M. G. Strintzis, "Robust transmission of H.264/AVC video using adaptive slice grouping and unequal error protection", IEEE International Conference on Multimedia and Expo, Toronto, Canada, July 2006. N. Thomos, S. Argyropoulos, N. V. Boulgouris, and M. G. Strintzis, "Error-resilient transmission of H.264/AVC streams using Flexible Macrblock Ordering," proc. of European Workshop on the Integration of Knowledge, Semantics and Digital Media Technology (EWIMT 2005), London, UK, November 2005. A. Giannoula, N. V. Boulgouris, and D. Hatzinakos, "Optimal watermark detection on interpolated images under noise ", IEEE International Conference on Image Processing, Singapore, Oct. 2004. N. V. Boulgouris, K. N. Plataniotis, and D. Hatzinakos, "Gait Recognition Using Dynamic Time Warping", IEEE International Workshop on Multimedia Signal Processing, Sienna, Italy, September 2004. N. V. Boulgouris, K. N. Plataniotis, and D. Hatzinakos, "Gait analysis and recognition using image transforms", IEEE Canadian Conference on Electrical and Computer Engineering, Niagara Falls, May 2004. A. Giannoula, N. V. Boulgouris, and D. Hatzinakos, "Fused watermark detection on noisy interpolated images", IEEE Canadian Conference on Electrical and Computer Engineering, Niagara Falls, May 2004. N. Thomos, N. V. Boulgouris, and M. G. Strintzis,"Wireless Image Transmission using Turbo Codes and Optimal Unequal Error Protection", IEEE Intl. Conference on Image Processing, Barcelona, Spain, 2003. V. Mezaris, N. V. Boulgouris, I. Kompatsiaris, D. Simitopoulos, and M. G. Strintzis, "Segmentation and content-based watermarking for image indexing", Information and Knowledge Management for Integrated Media Communication Workshop, Bordeaux, France, Apr. 2003. N. Thomos, N. V. Boulgouris, D. Simitopoulos, M. G. Strintzis, "List Viterbi decoding of convolutional codes for efficient data hiding", IEEE Intl. Conference on Image Processing, Rochester, New York, September 2002. N. V. Boulgouris, E. Kokkinou and M. G. Strintzis, "Fast Compressed-domain Segmentation For Video Indexing and Retrieval", 2002 Tyrrhenian International Workshop on Digital Communications, Capri, Italy, September 2002. N. V. Boulgouris, N. Thomos, M. G. Strintzis, "Error-Resilient Coding and Forward Error Correction for Image Transmission over Unreliable Channels", EUSIPCO-2002, Toulouse, France, September 2002. D. Simitopoulos, S. Tsaftaris, N. V. Boulgouris, and M. G. Strintzis, "Compressed-domain Video Watermarking of MPEG Streams", IEEE International Conference on Multimedia and Expo, Lausanne, Switzerland, August 2002. D. Simitopoulos, S. A. Tsaftaris, N. V. Boulgouris, and M. G. Strintzis, "Fast MPEG watermarking for copyright protection", IEEE International Conference on Electronics, Circuits and Systems, Dubrovnik, Croatia, September 2002. N. Thomos, N. V. Boulgouris, E. Kokkinou, and M. G. Strintzis, "Efficient Data Hiding in JPEG2000 Images Using Sequential Decoding of Convolutional Codes", International Conference on Digital Signal Processing (DSP-2002), Santorini, Greece, July, 2002. C. Kolida, S. Kyratzi, G. A. Triantafyllidis, N. V. Boulgouris, and M. G. Strintzis, ?The Graphical User Interface for the OTELO Tele-Echography System?, SCI 2002, Systemics, Cybernetics and Informatics, Orlando, Florida, USA, July 2002. K. E Zachariadis, N. V. Boulgouris, N. Thomos, G. A Triantafyllidis, and M. G. Strintzis, ?Wavelet-based Communication of Medical Image Sequences?, Intl. Workshop on Enterprise Networking and Computing in Health Care Industry, Nancy, France, June 2002. N. V. Boulgouris, F. D. Koravos, M. G. Strintzis, "Self-synchronizing Watermark Detection for MPEG-4 Objects", IEEE International Conference on Electronics, Circuits and Systems, ICECS 2001, Malta, Sep. 2001. P. Bas, N. V. Boulgouris, F. D. Koravos, J.-M. Chassery, M. G. Strintzis, and B. Macq, "Robust Watermarking of Video Objects for MPEG-4 Applications", invited paper, Proc. SPIE, 2001. M. G. Strintzis, N. V. Boulgouris, and S. Malassiotis: "Box Splines for the Hierarchical Coding of 3-D Surfaces", OFEA 2001, St. Petersburg, Russia, June 2001. N. V. Boulgouris, I. Kompatsiaris, V. Mezaris, and M. G. Strintzis, "Content-based Watermarking for Indexing Using Robust Segmentation", Workshop on Image Analysis For Multimedia Interactive Services, Tampere, Finland, May 2001. N. V. Boulgouris and M. G. Strintzis, "Disparity-Compensated Wavelet Coding of Stereo Images Using Feedback", International Conference on Augmented, Virtual Environments and Three-Dimensional Imaging, Mykonos, Greece, May 2001. D. Simitopoulos, N. V. Boulgouris, A. Leontaris, and M. G. Strintzis, "Scalable Detection of Perceptual Watermarks in JPEG2000", Conference on Communications and Multimedia Security, Darmstadt, Germany, May 2001. N. V. Boulgouris, A. Leontaris, N. Thomos, and M. G. Strintzis, "Robust layered coding of video for transmission over noisy channels", IEEE International Symposium on Circuits and Systems, Sydney, Australia, May 2001. D. Simitopoulos, S. A. Tsaftaris, N. V. Boulgouris, and M. G. Strintzis, "Digital Watermarking of MPEG-1 and MPEG-2 Multiplexed Streams for Copyright Protection", International Workshop on Digital and Computational Video, Tampa, Florida, Feb. 2001. N. V. Boulgouris and M. G. Strintzis, "Embedded Coding of Stereo Images", IEEE International Conference on Image Processing, ICIP-2000, Vancouver, Canada, Sep. 2000. M. G. Strintzis, S. Malassiotis, and N. V. Boulgouris, "Hierarchical Coding of 3-D Surfaces Using Box Splines", EUSIPCO 2000 , Tampere, Finland, Sep. 2000. N. V. Boulgouris, S. Zaharos, and M. G. Strintzis, "Adaptive Decorrelation and Entropy Coding for Context-based Lossless Image Compression", First Balkan Conference on Signal Processing, Communications, Circuits, and Systems, Istanbul, Turkey, June 2000. N. V. Boulgouris, D. Vyzovitis and M. G. Strintzis, "Wavelet Image Coding using Intercontext Arithmetic Adaptation", In Proc. SPIE conf. on Image and Video Communications and Processing, San Jose, CA, Jan. 2000. N. V. Boulgouris and M. G. Strintzis, "Stereo Image Coding Using Filter Bank Decompositions" International Workshop on Synthetic - Natural Hybrid Coding and Three Dimensional Imaging, IWSNHC3DI 99 , Santorini, Greece, Sep. 99. N. V. Boulgouris and M. G. Strintzis, "Image Coding Using Optimal Interpolative Pyramids With Variable Sampling Ratios", International Workshop on Intelligent Communication Techologies and Applications, Neuchatel, Switzerland, May 1999. N. V. Boulgouris and M. G. Strintzis, "Directional Interpolation Pyramids for Still Image Compression", International Symposium on Computer Graphics , Image Processing and Vision , Rio de Janeiro, Brasil, Oct. 1998. N. V. Boulgouris and M. G. Strintzis, "Lossless and Progressive Image Coding using Generalized Reduced Pyramids", 32th Conference on Information Sciences and Systems, CISS 98, Princeton, NJ. M. G. Strintzis, T. Sevintikidis, N. Boulgouris, "Lossless and Progressive Image Coding Using Optimal Pyramidal Analysis", Proc. SPIE Vol. 3169, p. 563-574, Wavelet Applications in Signal and Image Processing V (1997). Copyright © 2018 Nikolaos V. Boulgouris. Last modified: Thursday, December 20, 2018.